The High Resolution Stereo Camera (HRSC) on board the Mars Express has a large swath and high resolution [Jaumann et al. 2007]. This enables the capture of large geomorphic features while retaining the ability to track small-scale features over long distances. 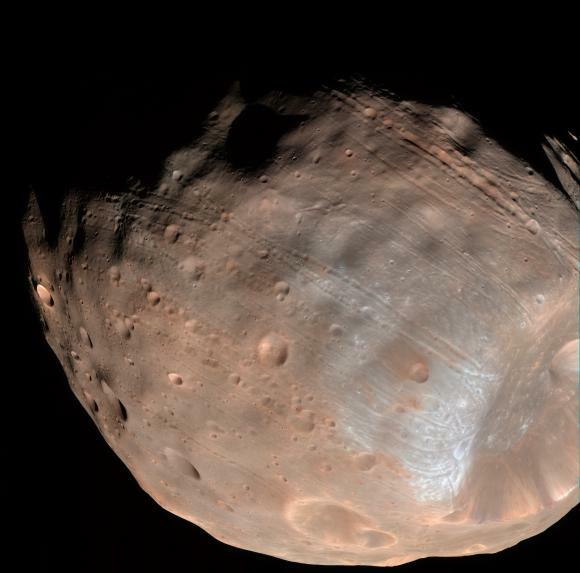 The HRSC has observed all of the giant outflow channels on Mars. They are supposed to be eroded fluvially as a consequence of the catastrophic release of water [Baker et al., 1992]. Most of them emanate from chaotic terrain [Sharp, 1973], which is heavily collapsed terrain and assumed as their source region. Outflow channels give insight to a different Martian climate with respect to hydrological conditions that apparently were different in the Late Hesperian or Amazonian, when they were formed [Tanaka, 1986]. Image 1: In this image we can see the Mangala Vallis outflow channel at 11.5S/151W. 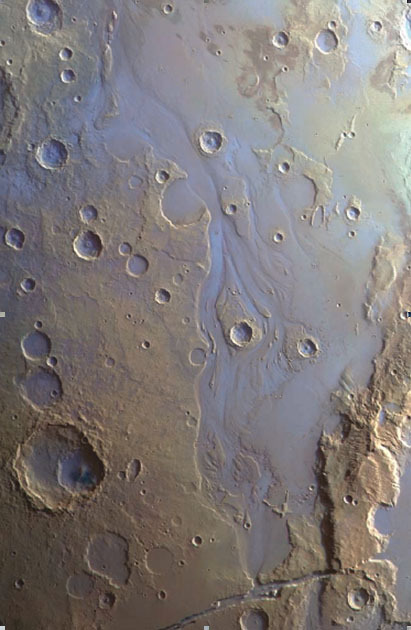 Mangala Vallis is a huge outflow channel (400 km across in Image 1) located west of the Tharsis bulge. Crater counts indicate an age of about 3.6 Ga for the ancient surrounding highlands, 1.4 Ga for the main valley floor, and 450 Ma for some younger and smaller tributaries [Werner, 2006]. Valley networks indicate the flow of liquid water across the Martian surface. The streamlined surface features are the result of erosion by liquid water or ice. 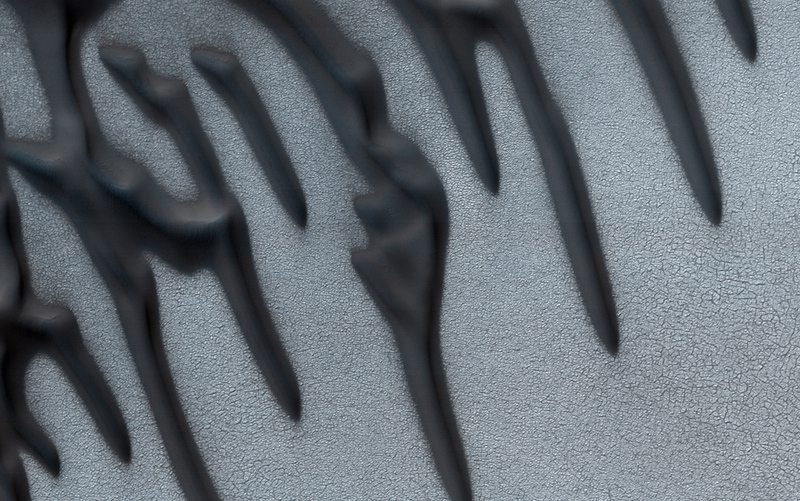 Eroded craters with teardrop-shaped tails, scour marks, and streamlined islands are common flow features of outflow channels [Rodriguez et al., 2005]. Kasei Vallis is proposed to have formed by the erosion of liquid water or glaciers. 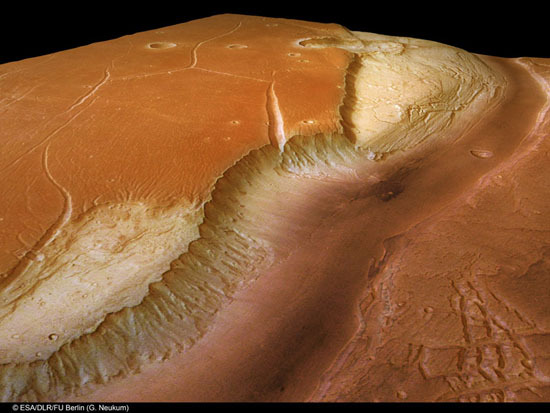 It is the largest outflow channel on Mars. Lava flows (corresponding to bluish surface in Image 2) cover its floor, obscuring previous traces of fluvial landforms. 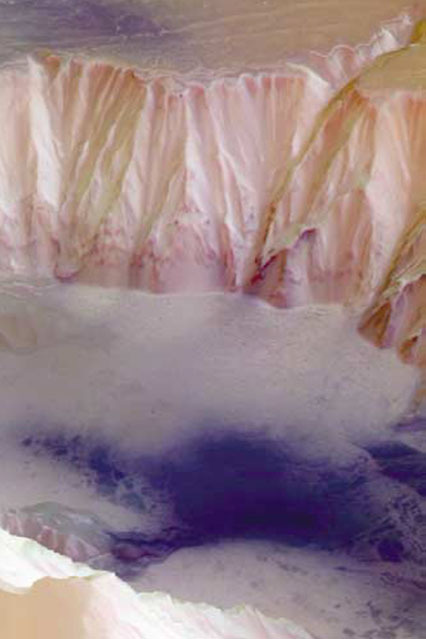 Image 2: A perspective view in false colours of Kasei Vallis showing the depression of Echus Chasma, the head of Kasei Vallis. 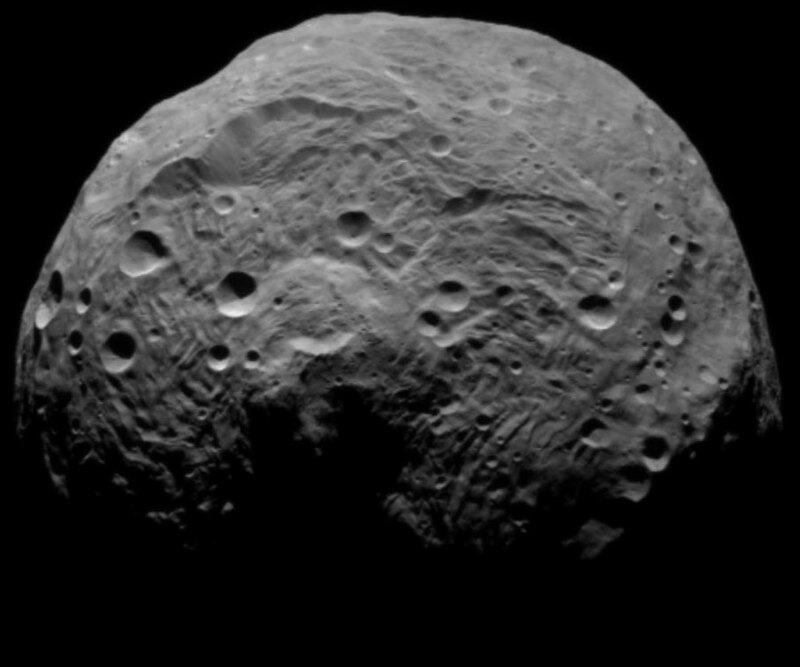 The canyon is approximately 50 km across and south is towards the top (~50 km across, south toward top). Image 3: A perspective image showing the northern branch of Kasei Vallis and the surrounding plain of Sacra Mensa.